Although Sakiko began dancing at the age of 5 in Vancouver, her real training began in Japan at the Sachiko Ogura Ballet School, where she performed on a regular basis for 13 years. While gaining her career as a Classical Ballet Teacher over a period of 10 years, she also performed in such roles as Odette, Aurora, Swanilda, Kitri and Giselle with the Mistral Ballet in Tokyo. 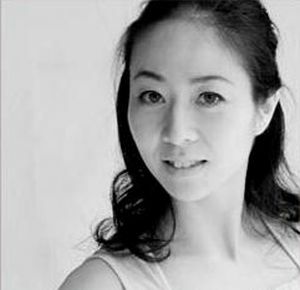 In 2005, she danced a contemporary piece choreographed by Roberto Campanella, the Aritistic Director for ProArteDanza in Toronto with students from Arts Umbrella , a project for Yokohama Ballet Intensive Seminar. Her connections with Canada increased when she began translating for teachers who came from the National Ballet School of Canada during Teacher’s Courses and seminars. Sakiko then became the Founding Director for Studio Collabo for 6 years while studying anatomy and manipulative therapy at Tokyo Therapeutics School. She holds a Bachelor of International Studies degree from the Meiji Gakuin University in Japan. With a passion for dance and education, Heather has devoted her life to moulding younger generations through the art of ballet. Having studied dance, first with ballet through The Royal Academy of Dance, one of the foremost authorities in ballet, Heather has added to her understanding and love of dance with additional training in Russion and Hungarian folk, ballroom, modern, jazz, yoga, tap, pressure relase stretch, square and round dancing, and Shaun Work - a technique of modern and ballet developed in the 1930's. Heather has danced accross Canada, as well as overseas in Spain, Alaska and in London at the Pineapple Studios. She has continued to add to her training through workshops, lectures, and seminars that enable her to provide the highest level of instruction to her students. Heather's training, certifications and experience have allowed her to expand and sharpen her talents so she can share her love and respect for dance with her students and the world. Heather has ardently given of her self and her time to provide intruction and choreography for annual dance competitions, holiday performances and year end reviews for all her students. She believes that direction, practice and determination are best married together when students can take what they have learned and offered to an audience on the stage. Her greatest desire is to see young lives changed by the power, dicipline and freedom that dance can offer. Heather looks forward to continuing to broaden her knowledge and appreciation of dance so that she can impart this transformative awareness to her students and community through teaching and choreography. Lauren is currently a freelance dancer based out of Vancouver, and has most recently worked with the Performance Research Project under the direction of Lesley Telford. Lauren danced professionally with Citie Ballet (now Ballet Edmonton) performing classical repertoire and new contemporary works by Francois Chevennement, Heather Myers, Alysa Pires and Jorden Morris. She professionally trained at the Miami City Ballet School and has also attended professional intensives at Canada's National Ballet School, Boston Ballet School and American Ballet Theatre. In Lauren's early training, she concentrated on the Royal Academy of Dance curriculum training under Deborah Morgan in Edmonton. Under her mentorship, Lauren has successfully achieved her R.A.D Solo Seal Award, and was a finalist in the Genée International Ballet Competition in Cape Town, South Africa in 2011 as the only Canadian Representative. Lauren has taught ballet, jazz and contemporary classes throughout numerous dance schools in the Edmonton and Vancouver areas. She is thrilled to be able to pass down her knowledge, love, and passion for the art of dance, and strives to guide her students into being the best versions of themselves inside and out of the studio. Samantha is an Abbotsford born dancer, instructor, and choreographer, and has been training in dance since the age of 8. Samantha holds a BFA with distinction with a major in Dance from Simon Fraser University. She teaches contemporary, lyrical, modern, ballet, jazz, as well as jazz, ballet, and contemporary technique classes. Each class, Samantha arrives with a lesson plan and age -appropriate music. She has a deep desire to immerse young dancers in the love of the arts, and she believes that being involved in the arts has a profound impact on the development of children and teenagers. Originally from New Jersey, Brynne completed her training in dance at Arts Umbrella’s Graduate Program, where she had the opportunity to perform works by internationally renowned choreographers such as Crystal Pite, Sharon Eyal, Mats Ek, Lesley Telford and Aszure Barton to name a few. Having continued her professional journey within the Performance Research Project under the direction of Lesley Telford, she has been able to work with such local artists as Serge Bennathan, Noam Gagnon, and Heather Meyers, as well as begin choreographing herself. She has a great love for both dance and education. With a background in both performing and teaching many different styles of dance, she seeks to help expand curiosity, understanding and joy in the language of dance for herself as well as the community around her. From Toronto, now living in Vancouver and training across North America in a range of styles, Cass breathes dance and translating thought into movement. Her broad range and knowledge of urban dance in particular comes from working with industry leader’s in commercial hip hop, jazz, house, waacking, krump, breaking, locking, dancehall and popping! Cass has been featured in music videos, as a showcase performer at World of Dance and on stages across the country. Her signature “firecracker” personality shines through in strong, charismatic choreography and a consistent drive to push urban dance arts to stay fresh and new. Cass continues to help dancers to find their own voice through movement and understanding teaching across her new home of Metro Vancouver. Stephanie Van Dyck began a professional circus career at age 17. She has performed throughout Canada and various locations in the United States, including Montana, San Francisco, Las Vegas, and Seattle. In Las Vegas Stephanie was approached by Cirque Du Soleil. She decided to continue her career performing and teaching in her hometown, Vancouver. Stephanie continues to pursue Circus, performing at various cooperate shows and events, as well as teaching career in acrobatic area. She hopes to share her passion with students and audiences and aims to inspire this sense of enjoyment with others through education as an acrobatics, dance and gymnastics instructor for children of all ages. Bonnie holds a degree in Fine Arts from U.B.C. She has toured both provincially and nationally. 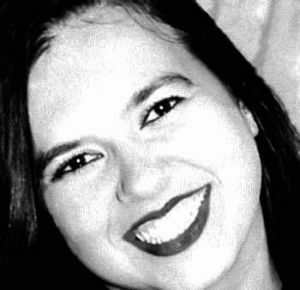 Bonnie performed and studied with such flamenco greats as Sabas Santos, Raul Salcedo, and Carmen do Torres. She was showcased at both flamenco del Mar and the Flamenco Festival, Vancouver, in 2004. Bonnie has taught Flamenco and Modern at Anna Wyman for many years. Janet started dancing in England at the age of 11 years. Her love for the stage soon turned into her being a Professional Child Dancer on the London Stage, Films, and Theatre. When not performing professionally she always returned to her local Dance Studio and completed her qualifications to teach in Ballet, Tap and Modern with The British Association of Teachers of Dancing and Imperial Society Teachers of Dancing by the age of 18. Janet opened her first Dance Studio in the South of England and was Artistic Director for 10 years before immigrating to Toronto. During her 5 years in Toronto, before heading west to Vancouver, Janet was again the successful Artistic Director of a Dance Studio in Toronto. 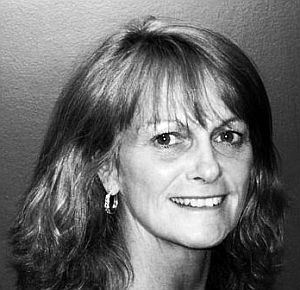 Her passion, commitment, and excitement for Tap and Muscial Theatre has kept Janet with the Anna Wyman School of Dance Arts for over 10 years. Sam is a dance artist who is devoted to training, creating, teaching, and performing in beautiful Vancouver, BC. Her primary focus in dance or the past 6 years has been in Modern, Contact Improvisation, Contemporary, and Jazz styles. After graduating from Simon Fraser University with a BFA in Dance in 2017, Sam has continued to grow as an artist by engaging in professional development workshops lead by master dance teachers and choreographers such as: 605 Collective, Helen Walkley, EDAM Dance, Modus Operandi, The International Association for Dance Medicine and Science, and The Dance Initiative. She has also performed work professionally across Canada for companies and independent artists including: The Body Orchestra Collective, Marissa Wong, Gemma Crowe, Megan Friessen, Heather Laura Gray, The Lovers Cabaret, Wolf Pack Productions and CollabArt Creations. As an educator, Sam believes heavily in the importance of process over product and seeks to unlock the artistic potential in all of her students through improvisation and creative movement exercises.